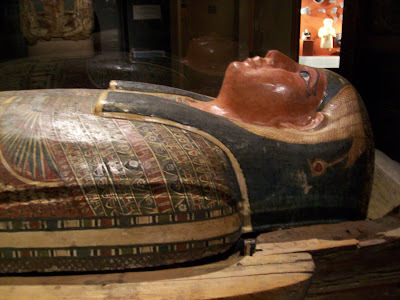 We took the kids downtown to Emory to the Carlos museum and were blown away by the exhibits there. 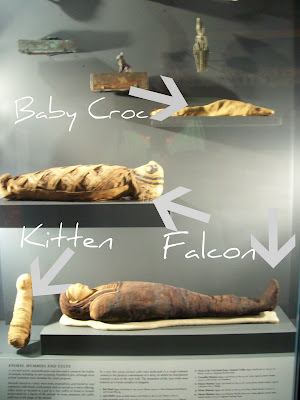 Who knew they had MUMMIES? And tons of Roman stuff? And ASSYRIAN STUFF? Ok seriously, I had FORGOTTEN the Assyrians. 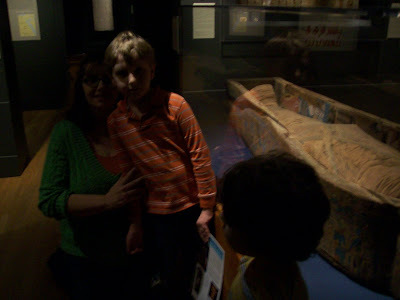 What is so awesome is that we're such museum goers that the big boy was entranced,if not a big scared of the mummies. He was absolutely fascinated. However, he wouldn't get close enough to one for me to take a proper pic. If you look-he's leaning AWAY from the case. Like it's going to GET him. I couldn't get him into the light! 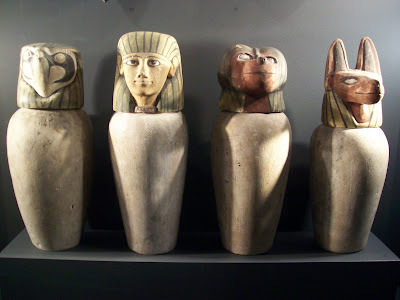 These were actually FAKE canopic jars, I'm not sure who they were faking out in their own tomb. But - PSYCHE! No guts in here! I'm so fascinated because, the ART that goes into memorializing the dead is so amazing really. We don't put this much art into being ALIVE much less celebrating and remembering our dead. It's awe inspiring. It's also sort of odd, it's not that they loved you so much they wanted you to have this - it's simply what was done. Fascinating that art of this level was just "the right thing to do" I think. 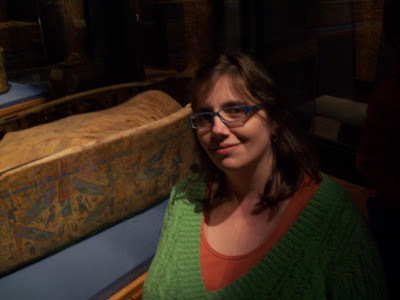 My last pic I'm going to share came along just as the husband was explaining how Egyptians sacrificed and entombed anything with you that you might need in the after life. For example - PETS! How about a couple of Falcons and a Kitten? I'm not really sure about the crocodile baby. I mean, those aren't pets in any culture........perhaps that was just for good measure? A present for Osiris? I'm unsure. 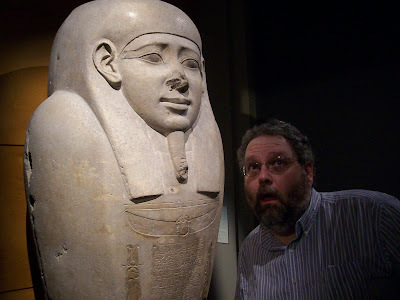 Museums are awesome. This might be one of our last trips for a while though, because my big belly and I did not like all the walking around. Come on April 27!